Botanica Coconut Oil is picked fresh and cold pressed to give you the best possible flavour and nutritional profile. This raw, unrefined oil is a great source of medium chain triglycerides. 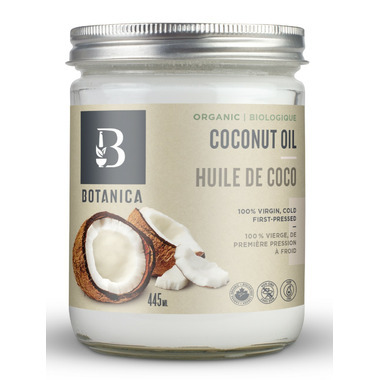 Botanica Coconut Oil can be used as a replacement for cooking oil or butter in all your favourite recipes. This oil is great for baking, frying, or even as a spread on toast! Because this product is raw and unrefined, there may be discolouration. This is a sign of quality.